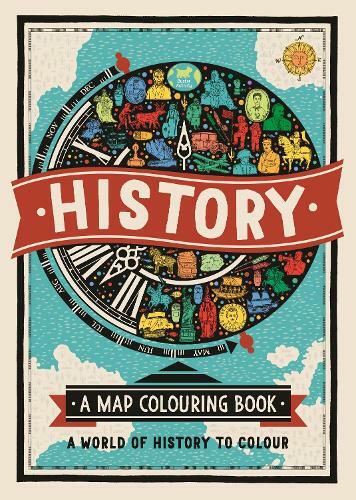 Children can colour their way through time with this new history of the world colouring book. These bright and brilliant maps feature illustrations of everything from famous battles to fantastic inventions and amazing architecture to world leaders. Children can colour in the pictures and learn as they go from the bite-size historical facts accompanying each picture. The last page of the book features a timeline of some of the best bits of history. This book is the third book in our Map Colouring series, with a brand new illustrator and look.